If you liked the Algoma Sport Couch, you are going to love the Algoma Tailgator Bench! This is a traveling bench that easily holds two adults or three children, weighs less than 10 lbs, yet, it is strong enough to hold 500 lbs! 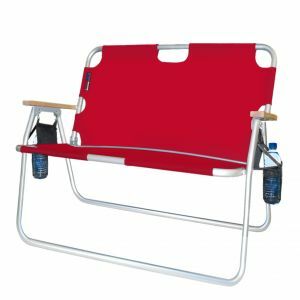 It is so lightweight and easy to transport to outdoor sporting events, camping, or just to use in the back yard, or even in the house, for an extra seat when company comes to watch the big game! *Available in black, red, or blue.